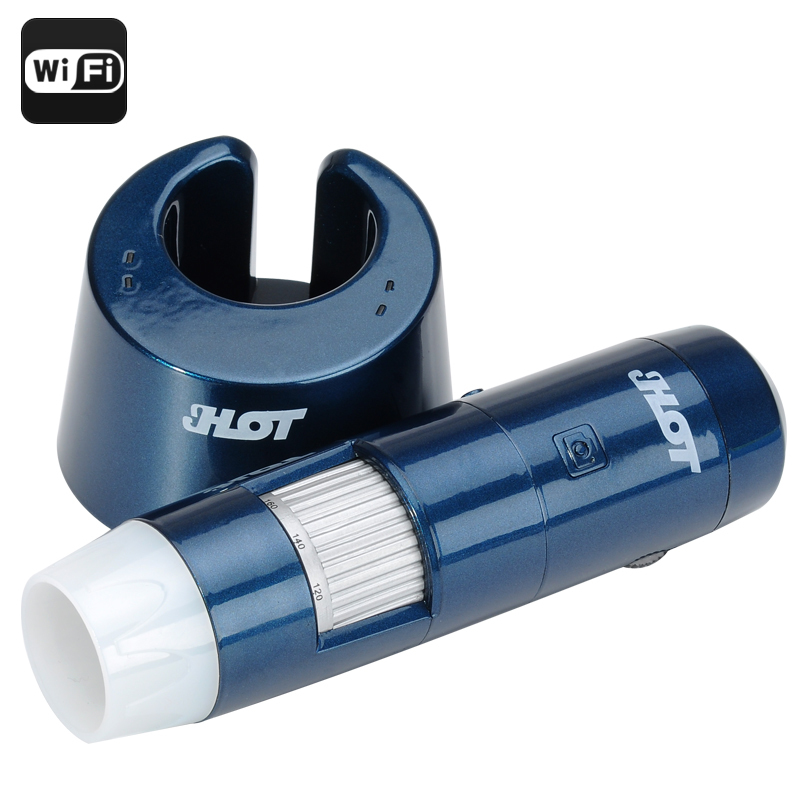 Successfully Added Digital Wi-Fi Microscope - 5 To 200 Zoom, Video Capture, 1000mAh Battery, IOS + Android APP to your Shopping Cart. This handheld Wi-Fi digital microscope works perfectly with Android or iOS based devices. Its quick and convenient to use making it a great research or educational tool. Simply install the app on your portable device and you’re ready to go. If you want to use the devices with you PC then you can connect to it directly using the supplied USB cable. You can use the microscope to capture images or video and the 8 white LED lights ensure that the subject matter is always well illuminated. If you’re required to traveling around inspecting textiles, machine parts, precision machinery or their products then this portable digital microscope is the tool you dreamed off. Its small compact form let you carry it in your pocket and the ability to work with a Smartphone or tablet means you don't need lab equipment or a computer to carry out a thorough inspection. With a 5 to 200 times zoom range this wireless microscope is perfect for inspection for a variety of applications including textile inspection, detailed repair, printing inspection, computer parts inspection, microbiological examination, reading aid, dermatology (skin/scalp), and collectables examination (coins, stamps). Whether it’s for use in industries or educational institutes the Wi-Fi microscope is you best portable inspection tool when you need a close up view. This Wi-Fi digital microscope comes with a 12 months warranty, brought to you by the leader in electronic devices as well as wholesale computer accessories and digital microscopes..